Agricultural tractors available from 45 HP all the way up to 620 HP. 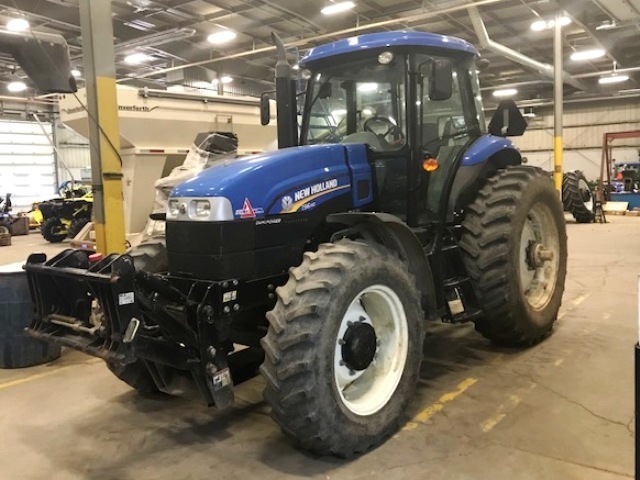 New Holland has a model to fit your operation and your needs. Front End Loaders and other attachments to get the most out of your tractor are also available. Call or drop by and let us find the perfect tractor for you and your operation. New T9 4WD tractors give you the power you need and the comfort you want. If the engine and hydraulic power doesn’t turn your head, the sleek design and the largest cab in the industry certainly will. This series features 6 Models from 370 to 620 rated engine horsepower. New Holland DNA runs through every aspect of GENESIS® T8 Series tractors, which means you’ll notice unique, innovative features that make you and your operation more productive. Power, fuel efficiency, stability and maneuverability are all rolled into this one-of-a-kind tractor. This series features 5 Wheeled Models from 205 to 315 PTO HP and 3 Smartrax Models from 265 to 315 PTO HP. 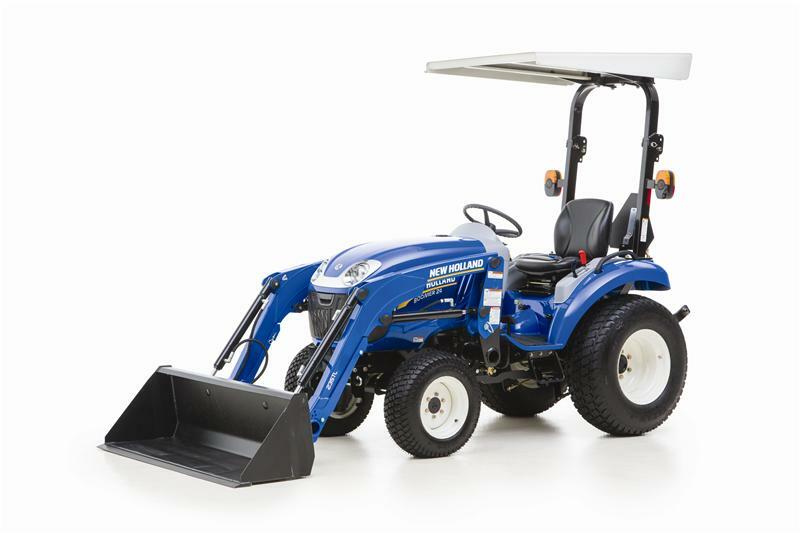 T7 Series tractors offer unrivaled comfort, power, efficiency and precision. They let you take control of your operating costs by improving the efficiency of your operators, your field performance and your business. That’s New Holland SMART. New Holland T7 tractors deliver big productivity and top-of-the-line comfort. This series features 7 Models with 110 to 210 PTO HP. There are no shortcuts to success. That’s why the new T6 is engineerd with more than 20 new, innovative features. With best-in-class power for unrivaled performance, Comfort Ride™ cab suspension for maximum productivity and the high-visibility Horizon™ cab for unmatched efficiency, the T6 was built to stand out and outperform. T6 tractors are the ideal choice for haying, heavy loader work, roadside mowing, and more.This series features 5 Models with 95 to 120 PTO HP. TS6 tractors are hardworking, Lean & Mean tractors that will pay their way year-round. The TS6 series tractors combine legendary New Holland rugged drivelines with a host of choices to match your specific operational needs. Four TS6 models range from 90 to 115 PTO horsepower and fit a wide range of farming practices. Choose a model with two- or four-wheel drive, with an open ROPS platform or New Holland’s VisionView™ cab. T5 Series tractors are redefining business class farming. We know the jobs you face as a mixed farmer demand the utmost from your utility tractor. While it's large enough to perform fieldwork from early spring to late fall, its agility and frame size allow you to easily navigate through your barnyard. We understand your desire for superior comfort, visibility, and smooth-shifting transmissions. Fortunately for you, T5 and T5 Electro Command tractors are here (82 to 98 PTO HP). Take a close look. After all, you deserve a promotion. Welcome to the corner office! When you hire someone to work on your farm, what qualities do you look for? Most likely, you would agree that the ideal farmhand should be versatile, dependable, and strong. 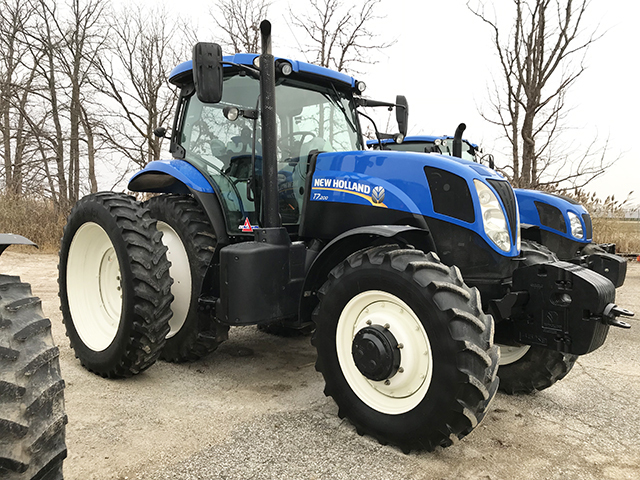 Fortunately for you, you’re guaranteed to find all of these qualities in a T4 series tractor, the Ultimate Farmhand, from New Holland. This series features 4 Models with 73 to 99 PTO HP. As a farmer, you want to spend more time working and less time maintaining your tractor, so T4.75 PowerStar tractors have been designed to be ready whenever you are. The long, 600-hour service intervals, impressive fuel economy, and simple daily checks thanks to the one-piece flip-up hood make maintaining your T4.75 PowerStar simple. This series feature 2 models - 50 & 65 PTO HP. New Holland salutes a generation of doers by introducing a new line of tractors with a familiar name – WORKMASTER™. Popular in the 1960s, the original WORKMASTER models were known for their dependability and value. Today, it's no different. Whether you're mowing, moving, baling or loading, new WORKMASTER tractors work hard, are easy to afford, and at the end of the day, deliver the satisfaction of a job well done. This series features 3 Models with 45 to 61 PTO HP, and choice of 2WD or 4WD.